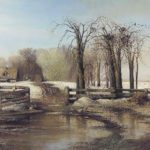 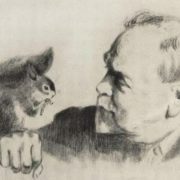 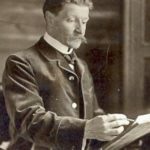 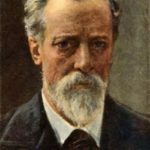 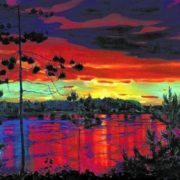 Since 1902, he taught in the Drawing School of the Society for the Encouragement of the Arts, since 1917 he taught at the Academy of Arts and the following year he became a professor. 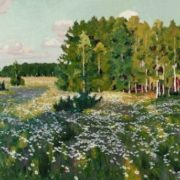 After the revolution, Rylov continued to be actively engaged in creative and pedagogical work. 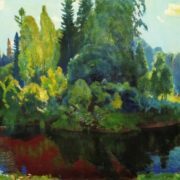 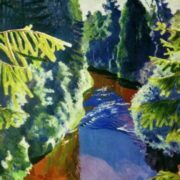 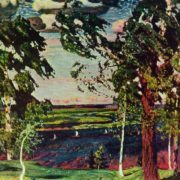 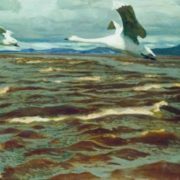 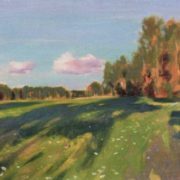 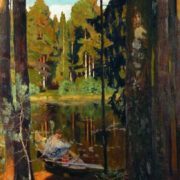 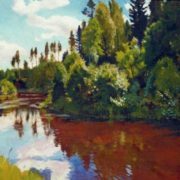 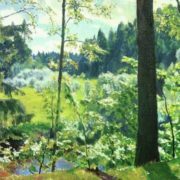 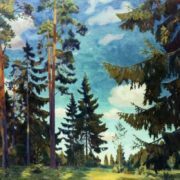 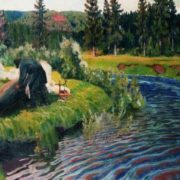 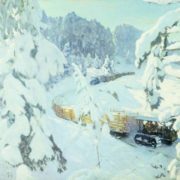 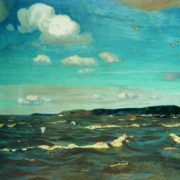 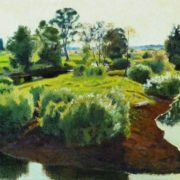 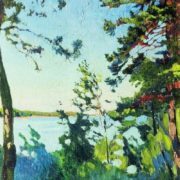 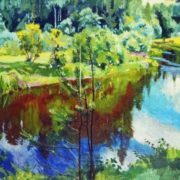 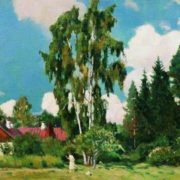 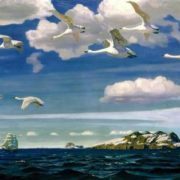 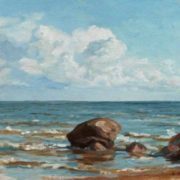 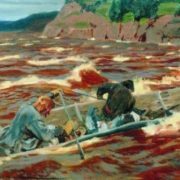 A.A. Fyodorov-Davydov called Rylov “an outstanding Soviet landscape painter”. 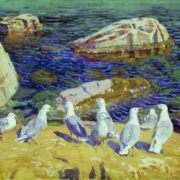 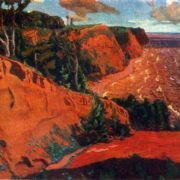 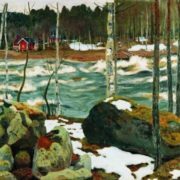 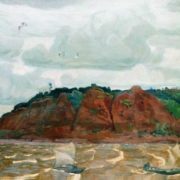 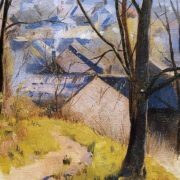 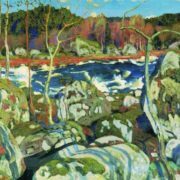 His work in many ways determined the multifaceted appearance of the Leningrad landscape painting of 1920-1930’s. 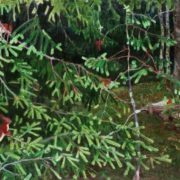 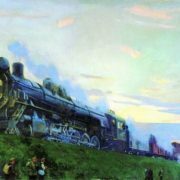 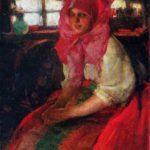 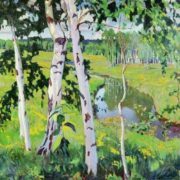 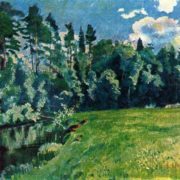 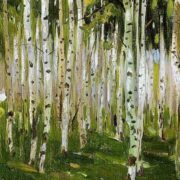 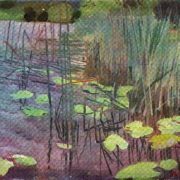 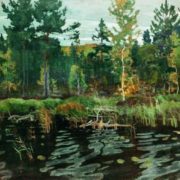 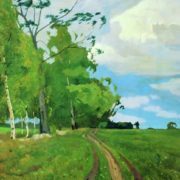 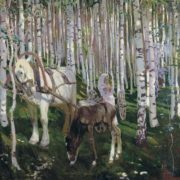 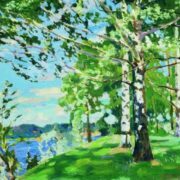 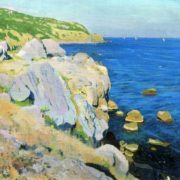 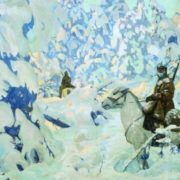 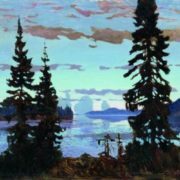 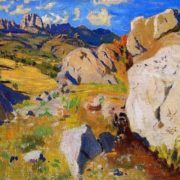 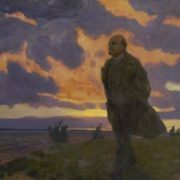 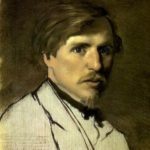 As a professor, Rylov made a great contribution to the preparation of new generations of artists, having directly or indirectly influenced the state and development of Soviet landscape painting in the following decades. 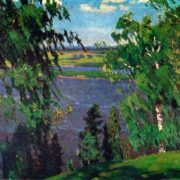 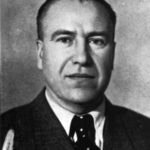 Arkady Rylov died on June 22, 1939 in Leningrad. 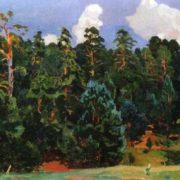 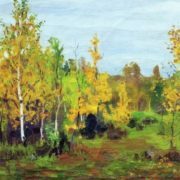 The landscape painter was buried at the Volkovsky Cemetery. 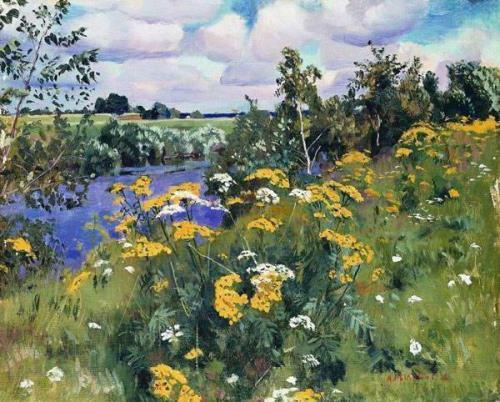 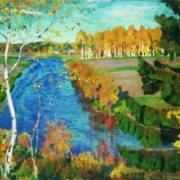 Talented artist Rylov was one of the classics of Russian landscape painting. 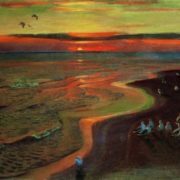 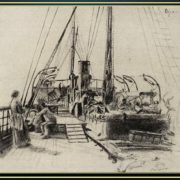 Creativity of the artist was widely known in the very beginning of the twentieth century. 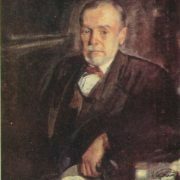 His works were exhibited at the exhibitions of the association World of Art and the Vienna Secession.